Something that's not shown in the film, but I believe is mentioned in the book is that Lady raised owls one year. For two years she raised goslings, but the third year they gave her owl eggs. She produced infertile eggs and Ed replaced them with fertile eggs. 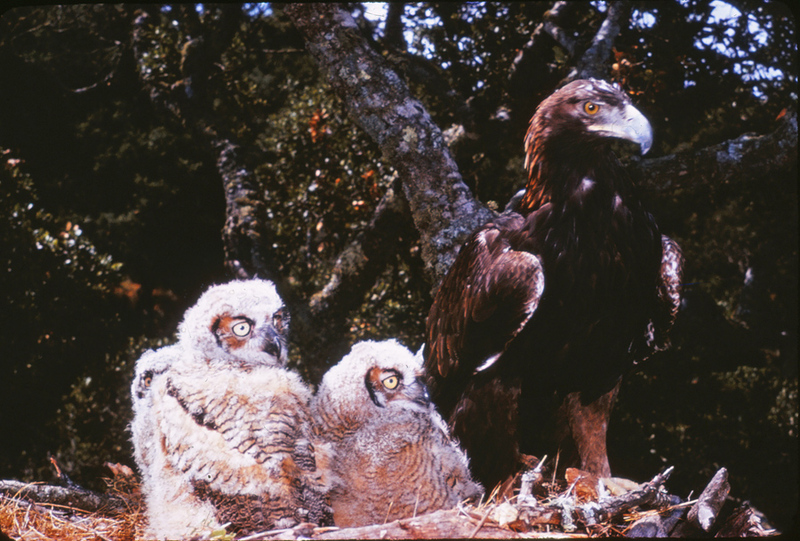 She did eventually raise eaglets. This is taken from an old slide.